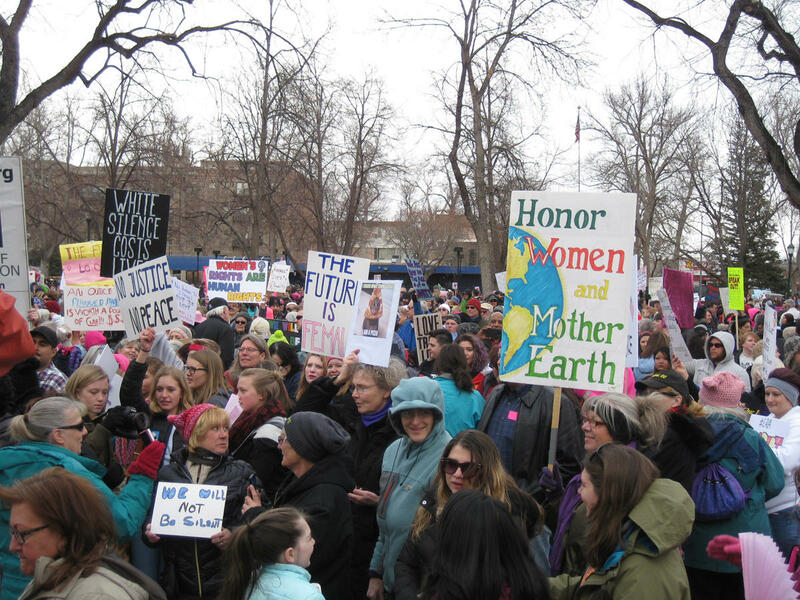 Many made the trip to Denver, but others chose to march in other parts of the state such as Colorado Springs. 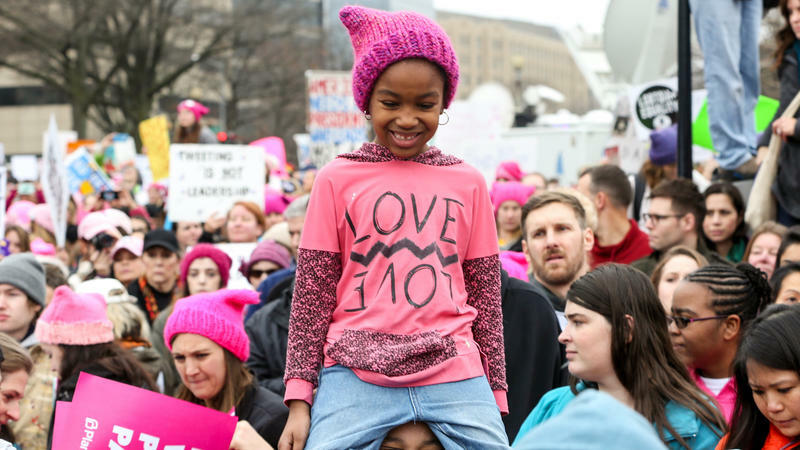 Similar women’s marches took place on Jan. 21 in the nation’s capitol and across the world as part of a larger, coordinated movement. “It’s supporting each other and supporting those that we’re worried about,” said 72- year- old Kay Long from Coal Creek Canyon in Golden. Women made up 80 percent of Saturday's crowd, and most of them were white. Trump won that demographic with 53 percent of the vote. Long said those election results empowered her to be more politically active. It was also the first march for a group of high school students from the Denver School of the Arts. Sophomore Anna-Claire Schultz said even though most of her classmates aren’t old enough to vote, students are very engaged. “Most of our school is pretty unified in the idea that he’s not fit to be president and that what he’s doing, and what he’s seeing, is in no way making America great,.” she said. Her friend, Emery Volkert agrees, but also cautions against going too far. That was a common theme echoed by many at the march. The crowd was relatively subdued, contrasting with the militaristic vibe of some of the Inauguration Day rallies. Andrew Griffin of Denver says he doesn’t want division, but he thinks some anger is good. He worries people will become complacent or desensitized. “I want to show that there’s another side that’s pretty upset with the rhetoric that’s out there. And he may be our president, but we’re going to stand up any time there’s a civil right that’s being violated. When you become desensitized, that’s when the human rights violations happen,” said Griffin. She said seeing the large turnout for the march, gives her hope that progress can be made in the next four years. 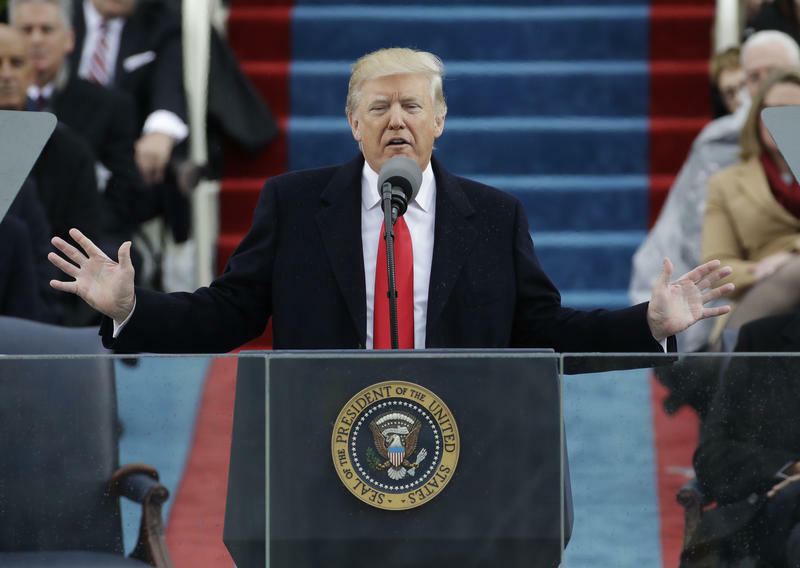 Follow along as NPR creates a live blog of the events of January 20, 2017, when Donald Trump and Mike Pence become President and Vice President. 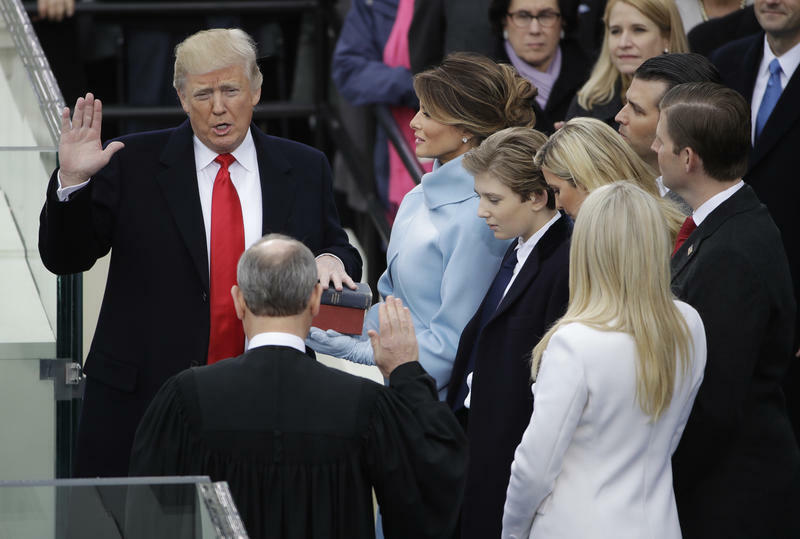 President Donald Trump delivered his inaugural address shortly after taking the oath of office. Here, NPR delivers an annotated transcript of that speech.